At Netwise our client base is from a wide variety of industry sectors, company sizes and charitable organisations. Click on the names below to visit these examples of our work. 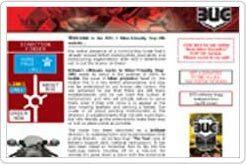 Britains Ultimate Guide to Biker Friendly Stopoffs is a directory of hotels, bars, stores etc. offering discounts to members of the biking community. This database driven site includes online product purchases via our secure encrypted servers. The site also offers a novel system of menu items. 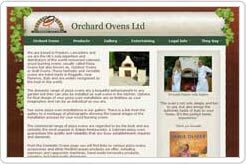 Orchard Ovens are sole distributors for outdoor Italian wood burning pizza ovens. Their website had to portray quality & style; included a photo-gallery of projects & online store for accessories. Our re-design for them won "Website of the Month" award in the prestigious Italia Magazine. Speedy Models specialise in Remote Controlled Vehicles. From their shop premises they sell, service and repair RC cars, ships, helicopters, airplanes, lorries etc. Their business is worldwide and their shopping cart software with payments via secure gateways handles stock and accounting records.